If you're new to the world of SEO, you may be wondering, "What is a no follow link?" In link building, a nofollow link is an attribute in the HTML code that tells the search engine crawlers to disregard a link. In other words, nofollow outbound links give no SEO points. They do not directly boost their site's page rank, nor do they boost a page's location in search engine results. Nofollow links were created back in 2005 with the aim of fighting SEO spamming on blogs. They work by instructing search engine bots not to follow links with the nofollow attribute. Today, these HTML attributes mainly are used to identify links that are paid or untrustworthy. You can identify a nofollow link by looking at a page's HTML source code. In addition to including “rel nofollow” in the HTML code to disregard a link for SEO purposes, noindex tags can be used for pages that you do not wish Google to index at all. You'll often find nofollow links attached to various types of paid links. Google may punish sites that don't include the rel=nofollow attribute on paid links. You'll also see nofollow links within the comments sections on blogs, forums, and other online communities. In fact, the majority of blogs and forums have comment links set to default with the nofollow attribute. Dofollow links are the yin to the nofollow tag's yang. These HTML link attributes allow the search engine robots to crawl the site and give SEO points to the linked page. These links result in the all-valuable backlink for the webpage. You may have heard backlinks talked about repeatedly when reading about SEO. Backlinks give SEO points, or what many call link juice, to the linked page. When a site gets a link with a dofollow attribute, this link juice is transferred to the page, resulting in a slight SEO boost. Google's search engine algorithms keep track of all these dofollow links back to a page. These algorithms take into consideration how many backlinks a site has, as well as the caliber of the sites linking back to the page. 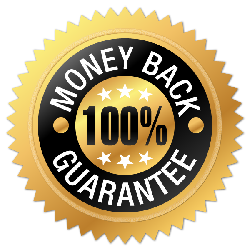 Dofollow backlinks from high-authority sites are the golden standard. Sites like Facebook, Twitter, and the New York Times are seen as highly reputable by Google. Backlinks from these sites carry a high link value and give the linked site a bigger SEO push. When a Googlebot crawls a particular page, it dives into the HTML code. During the bot’s visit to the page, it takes note of the content, detects links to and from the site, and then indexes these findings. When a Google search bot encounters a link tagged with a nofollow attribute, it knows that the webmaster wishes for the link to be disregarded. As a result, the search engine's algorithm ignores these links and does not transfer any ranking value to the page as it would with a dofollow link. Though Google officially stopped using PR in 2016, number of quality links relating to a site is still important when it comes to ranking sites in SERP. In its most basic form, PageRank used to be Google’s assessment of how many quality links a site had directed toward it. The calculation used this assessment to determine a score on a scale from 0 to 10. The more quality links a site had, the higher its score was. This score directly related to how Google viewed the page in terms of authority and importance. Although a nofollow tag didin't completely block Google search spiders from potentially crawling the link, it did keep them from using what they found there to pass PageRank to the site. Once again, even though Google gave up using PR as one of its metrics, it still pays attention at websites' backlink profile. At the moment SB Rank can give you the most precise information about your website's backlink weight. Adding a nofollow tag to a link is somewhat like removing a road sign pointing to an interstate exit. It makes it much harder to find the exit, but it doesn't close the exit down altogether. In the same way, a nofollow attribute does not shut down a link or block Googlebots from accessing it. A nofollow link simply ensures that the Google search algorithm doesn't pass any link juice to the page in question. Are Nofollow or Dofollow Links Best for SEO? Dofollow backlinks are the standard currency for search engine optimization. Google views high-quality links to a site as an indicator that the page is trustworthy and popular and delivers valuable content. At face value, external backlinks with the dofollow tag carry more SEO weight than nofollow tagged links. Nofollow links don’t benefit your site’s SEO in the same way as dofollow tags, but that doesn’t mean they have no SEO value. The benefits of a nofollow link are more subtle but can be just as powerful. While Google doesn’t credit nofollow links in the grand SEO scheme, they still are viable, active links. These links can build out awareness just as any dofollow link can. Links shared by solid sources are still clickable by any human with access to the web. The power of the internet lies in human interaction and connection. As long as the content of the linked page is valuable, a nofollow backlink has the opportunity to be massively powerful. Countless viral posts have started with one nofollow link that just happens to be in the right place at the right time. So which link attribute is best for SEO? Well, the answer is both. Both nofollow and dofollow link attributes can contribute positively to a page’s SEO and help boost its position in SERPs. When utilized in unison, both tags are viable ways to build out a solid search optimization strategy. A strong collection of quality dofollow backlinks can launch a page straight to the top of Google’s result page. One nofollow link shared through countless social platforms and blogs can also have a massive impact on a site’s credibility and search ranking.